The much anticipated iPhone X hit the market and shaking it almost a month go. Now people are going crazy, about the successor for the iPhone. 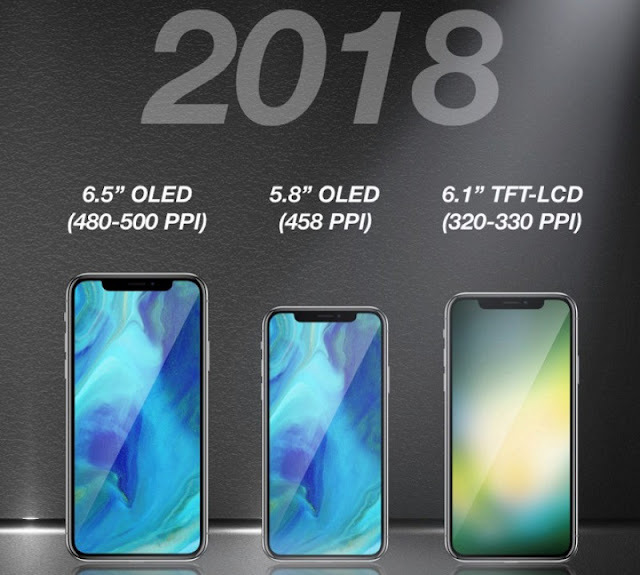 In 2018, Apple is going to release 3 new iPhone X successor models. We are not sure about the naming, what they are going to name them. The first one will feature a 5.8" screen, and the Large model will feature a 6.1" screen but this one has LCD screen, but not the OLED, and it contains a metal back, the third one which is an XL model feature a 6.5" screen. This is the full song, what they used in the Promo for iPhone X.